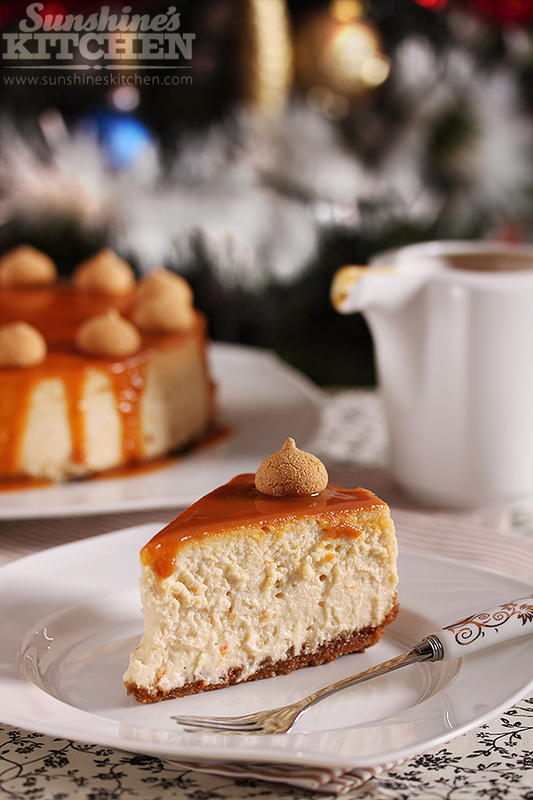 A lot of people think that it’s very complicated to make a cheesecake and they hesitate to try themselves. However, I think that if you follow the recipe and use good quality ingredients, there’s hardly any chance for failure. 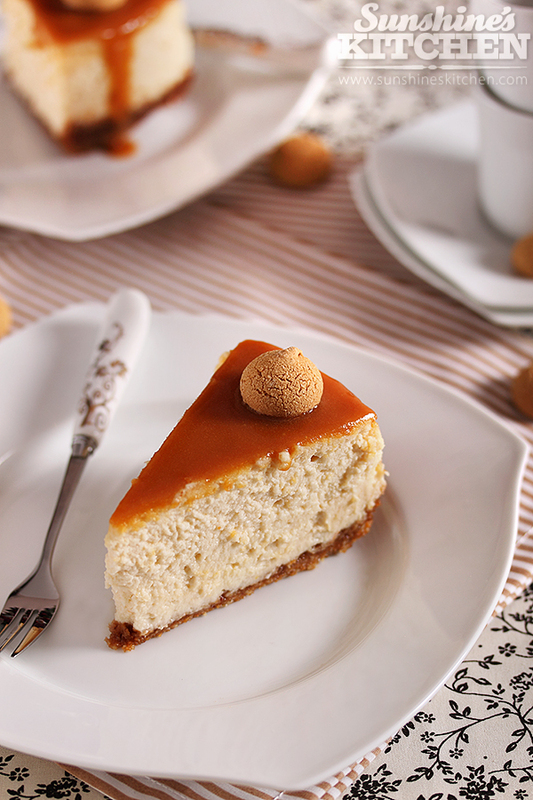 This recipe is just a twist on a classical plain cheesecake. I added some amaretti extract (almond would work as well) and grated orange zest – a combination which works amazingly well together. I also added some crushed amaretti cookies and ground almonds to the crust. 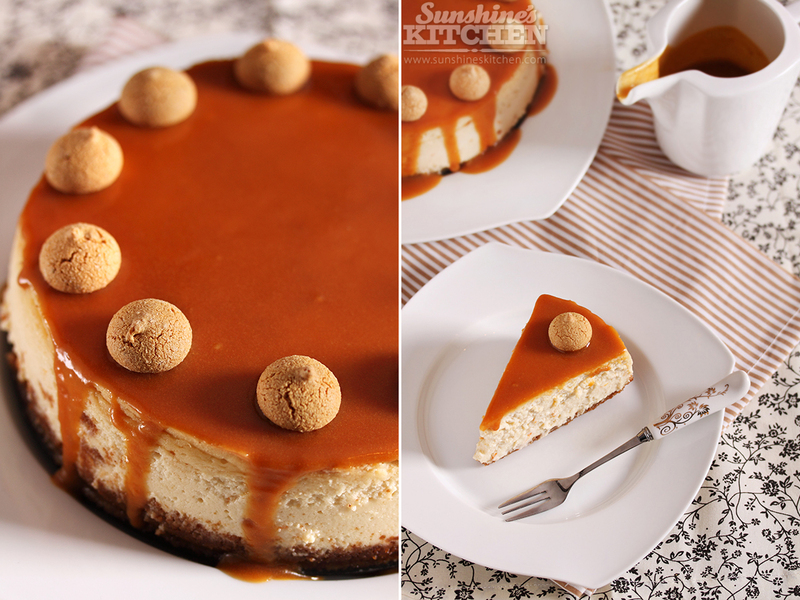 And to finish it off, I served it with homemade caramel sauce. 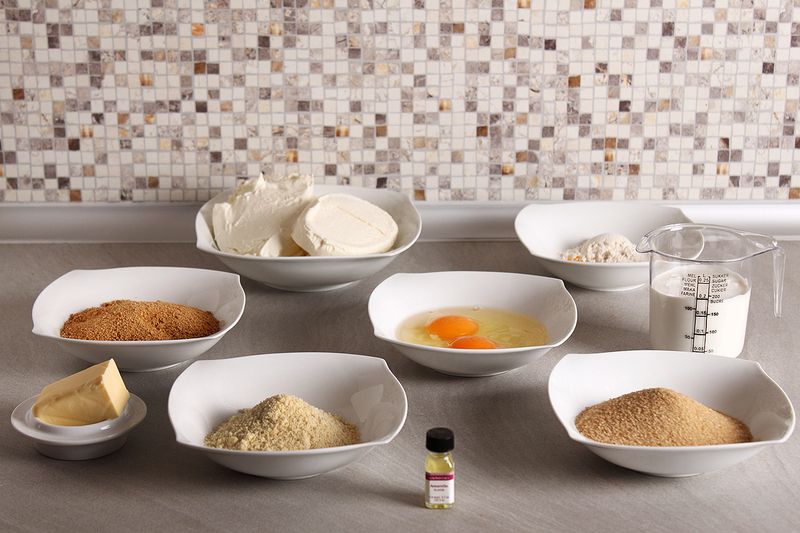 To make the crust combine the crushed amaretti cookies and the ground almonds in a bowl. Pour the melted butter and stir until the mixture resembles „wet sand“. Butter a 18cm springform pan and put the crust mixture in it. Press down the crumbs evenly on the bottom of the pan. Put the cream cheese in a bowl and beat until light and fluffy. Add the sugar and combine. Then add the eggs, one at a time, until thoroughly combined. Add few drops of amaretto essence and then mix in the flour and orange zestBeat just until incorporated and then stir in the sour cream. 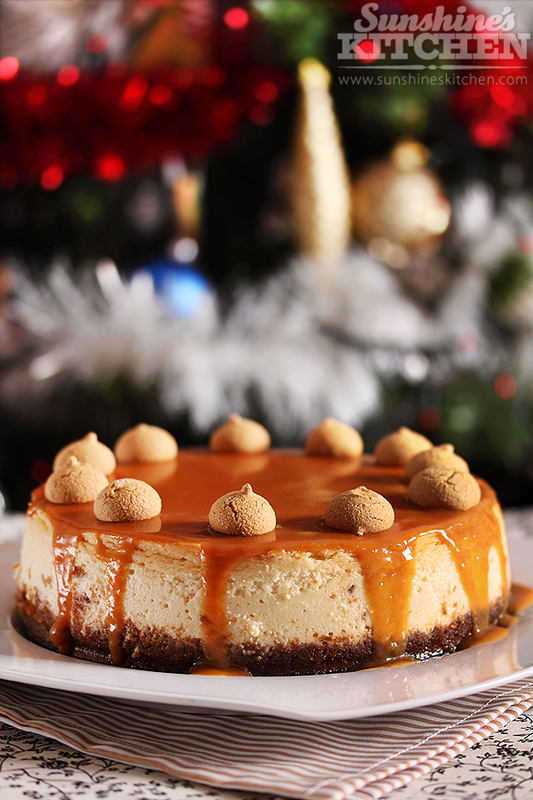 Just before serving, pour on top of it with some caramel sauce and decorate with amaretti cookies. Put the sugar in a small saucepan and let it caramelize. When it turns golden brown, take it off the heat and add the butter. Mix well until it’s melted and then slowly pour the heavy cream. Stir until everything is smooth and let it cool completely before using.